This is a Sponsored post written by me on behalf of Dollar General for SocialSpark. This time of year is hectic. School is in full swing and first quarter grades are due for us teachers in the next few days, I have multiple friends getting married, getting sworn in, and leaving the country needing goodbye parties (maybe that one is just me?). Which means when it comes to creating Halloween themed desserts my brain is struggling. That is why I plan to keep it simple this Halloween season. I am simply going to give some of my traditional dessert favorites a spooky and colored scheme appropriate twist. Why reinvent the wheel right? After a trip for Halloween supplies at Dollar General I had all the inspiration I needed to be a little creative in the kitchen. I had never been to a Dollar General before since there was never really one near me but we just got a huge, shiny new one on my way home from work and I finally was able to stop and explore. You may know that I have a slight holiday themed decor and baking supplies obsession (#foodbloggerproblems) so I went nuts when I saw all the Halloween stuff Dollar General has to offer. 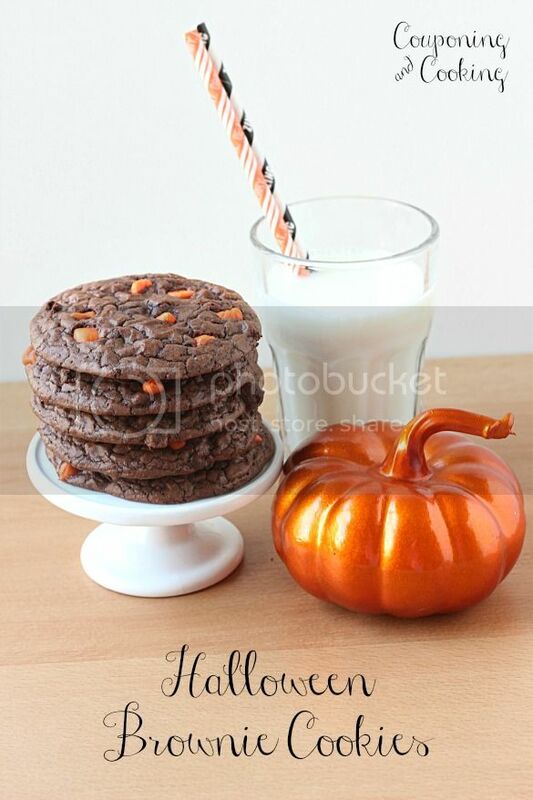 I tried to restrain myself as much as I could but for around $25 I managed to get everything I needed to make these Halloween Brownie Cookie Sandwiches as well as fun plates, napkins, party decor and the obviously much needed excessive amount of special edition seasonally themed candy items. My store had an amazingly well stocked "holiday baking" section and I have to confess that I may or may not have even grabbed some specialty Christmas baking stuff too. Hey, it's never too early! 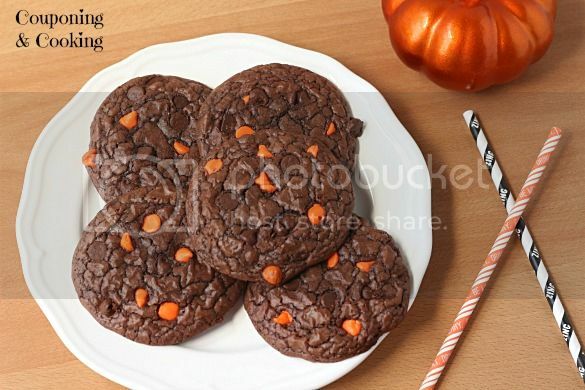 After seeing these Nestle Halloween Chocolate Chips, I knew that they would be perfect for Halloween-ifying my Double Chocolate Brownie Cookies. 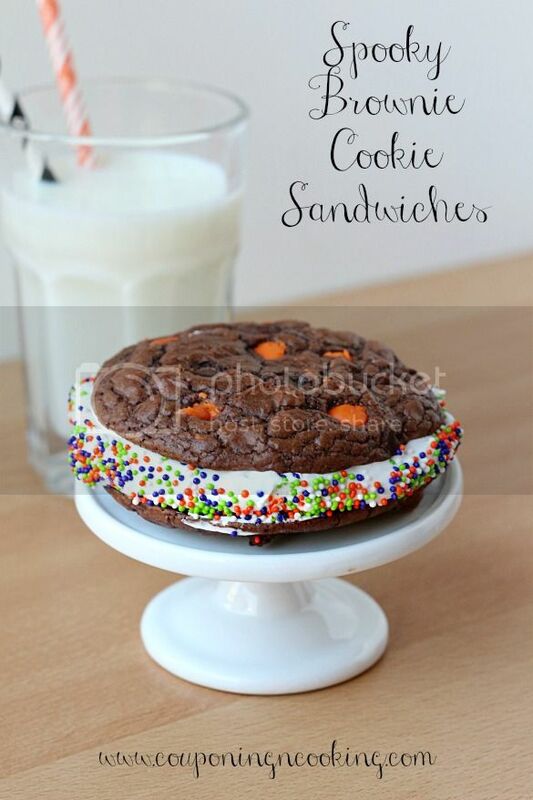 Orange chocolate chips in a chocolate cookie? Black and orange at its finest. This recipe is so easy and it only needs five total ingredients. 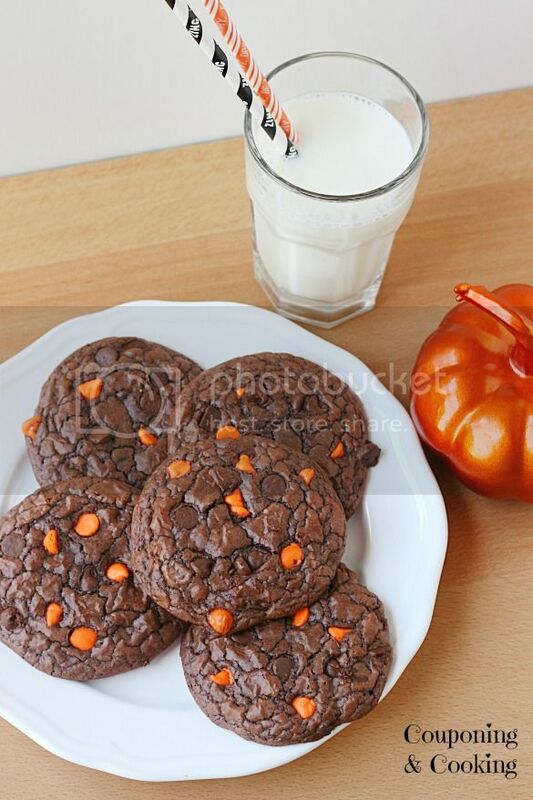 All you need is a box of brownie mix, two eggs, a little flour, oil and a cup of these spooky chocolate chips. Follow the directions found HERE and just make sure to use the Halloween chocolate chips to top the cookies not the mini chocolate chips from the original. Have a little extra time? Want to get fancy with your brownie cookies? 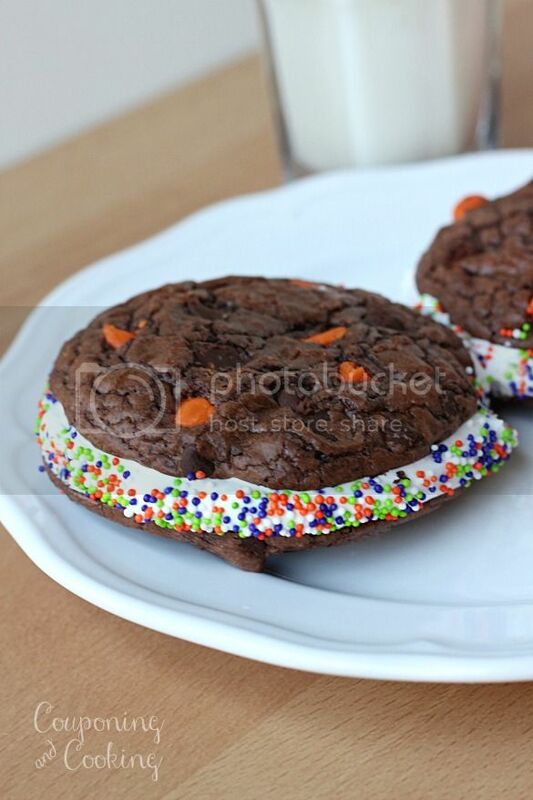 Use a little whipped topping or canned icing to make brownie cookie sandwiches and roll/sprinkle the edges in Halloween themed sprinkles. You can even go wild and use basic food coloring to tint your filling for a fun holiday treat everyone will love. Even grown men. My husband acted like he was above my cookies and sprinkles and then he proceeded to eat two of the sandwiches in one day. Looking for more quick and easy Halloween treats? 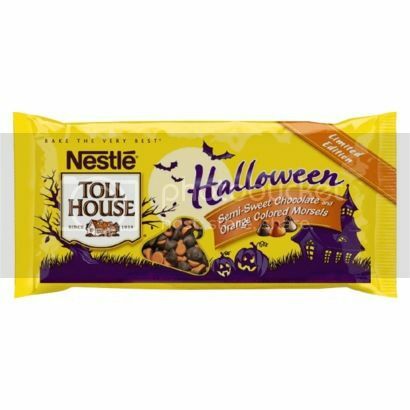 Check out the fun list of desserts from Dollar General which can all be made with ingrediants you have on hand or can pick up in a one stop Halloween shoping trip to your local DG. I have a feeling I will be hording left over candy to make those Butterfinger Popcorn balls soon! 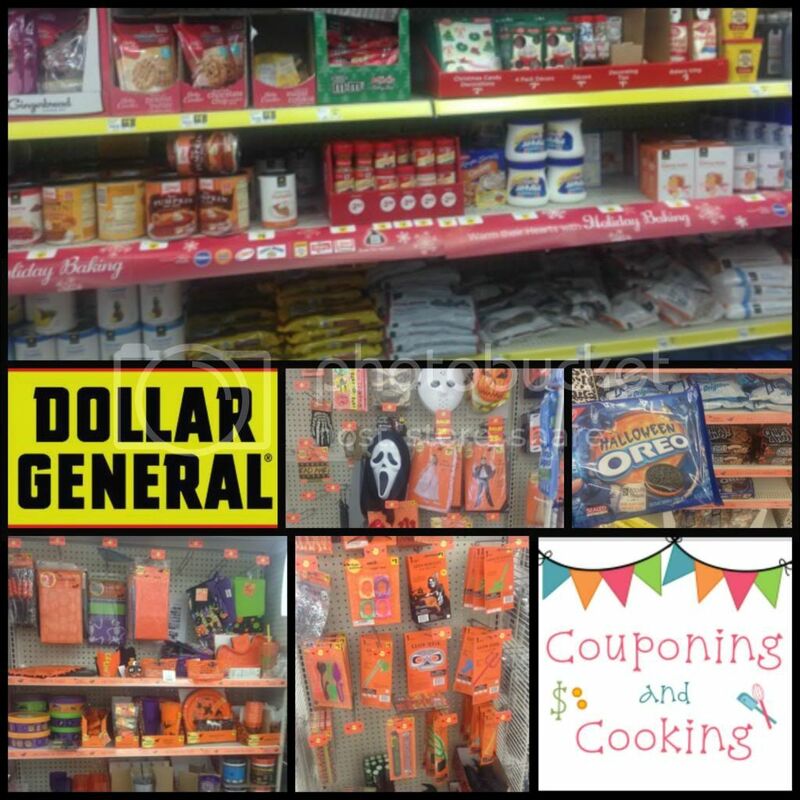 Connect with Dollar General on Facebook and Dollar General on Twitter Happy Halloween!